The new-look Cleveland Cavaliers beat the Boston Celtics in convincing fashion on Sunday, winning by a final score of 121-99. 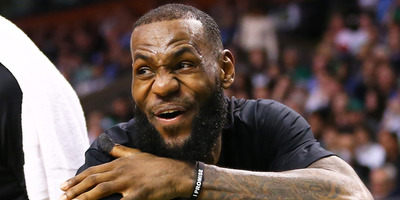 Throughout the game, LeBron James showed a level of joy and engagement that has been largely absent from the superstar this season. The Cavs win also came on Paul Pierce night in Boston, thus ruining the Celtic legend’s night twofold. The Cleveland Cavaliers team are a brand new team after last week’s blockbuster trade deadline moves, and if Sunday was any indicator, it looks like LeBron James is enjoying the new company. After a poor January with tensions mounting amongst players, coaches, and the front office, Cleveland blew up their roster before the deadline, moving former All Stars including Isaiah Thomas, Dwyane Wade, and Derrick Rose to new teams and constructing a new supporting cast for LeBron James in what could be his final playoff run as a Cavalier. The moves look like they’re working out for Cleveland so far, with the Cavaliers 2-0 since the deals went down, including a dominant 121-99 victory over the Boston Celtics on Sunday. The big win came on the night the Celtics were set to celebrate the career of Paul Pierce, ruining the Boston legend’s much-debated night in the spotlight. Alongside new teammates George Hill, Jordan Clarkson, Larry Nance Jr., and Rodney Hood, LeBron James put up a game-high 24 points, 10 assists, and 8 rebounds in just 28 minutes of action to lead the way for the Cavaliers. While James’ on-court performance was undoubtedly impressive, it might have been his reactions from the bench that were the more telling narrative of the night. For the first time in months, James appeared to be having a ball with his team. The Cavaliers still have a long way to go if they want to make it back to the Finals again this year, but just two games into the new look of the team, it looks like their chances of a return are far greater than they were before the deadline.